Humane groups team with animal control to seize and sell valuable dogs, cats, birds, horses, etc. Legal advice and resources to prevent or deal with illegal animal seizure. Note: The ASPCA (American Society for the Prevention of Cruelty to Animals), founded in 1866, has no affiliation with local groups. Any rescue, humane society, or individual may become a non-profit "SPCA" which, as you are about to learn, can be extremely profitable. Many who have had animals confiscated report that SPCA, HSUS, or local humane societies teamed up with Animal Control, which has police authority. What follows are case files and examples of unjust seizures by those who misuse police powers to seize healthy, happy animals. Defined as Animal Enterprise Terrorism by the FBI, animal seizures can be highly profitable. “Should we put Animal Rights above Human Rights?” Many great minds debate that question and we must remember that PETA insist that a rat’s life has the same value as a child’s. 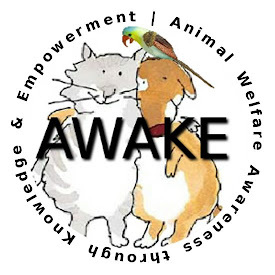 There is no debate however, on whether many rescue groups profit handsomely from selling the animals they confiscate, aided by "humane interest" TV coverage which generates donations based on dramatized plight of the rescued animals. This attorney does not give free legal advice but as examples, he presents three cases of out-of-control Animal Control. In the first, an entire pack of valuable hunting hounds was seized, in the second, priceless pedigreed dogs were taken while the owner was at dog shows, and the third describes destruction of an internationally-known AKC judge’s career and reputation. 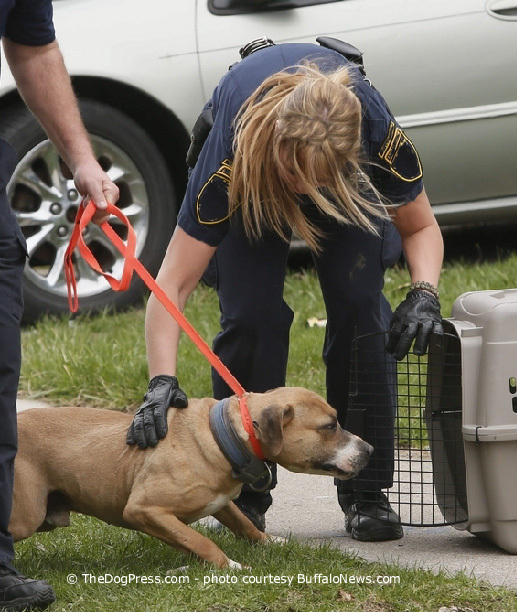 In one televised example, Animal Control raided a show breeder’s kennel. Reporters intoned “120 dogs lived in deplorable conditions.” The owner said some of them were thin because they were nursing large litters of puppies. Any dog breeder knows that to be true but the SPCA took custody of all the dogs “including award-winners worth up to $6000 each.” The veterinarian stated that the owner “does care about and care for her animals, no starvation was evident” but even so, a local judge upheld the confiscation. The dogs were sold even though the owner mortgaged her home to pay attorneys and legal bills and consequently, she lost everything. Confiscate animals which may then be "(1) Placed, by sale or donation, with (other) (2) persons or facilities … as determined by APHIS, even if (they) are not (APHIS) licensed or registered. Or the animals can be (3) Euthanized." The APHIS official (often associated with the HSUS or a self-declared local SPCA) can have: "local police or other law officer to accompany him to the premises." The really sweet deal is that the person, from whom the animals were confiscated, often without warrant, or proof of Just Cause, must: "bear all costs incurred in performing the placement or euthanasia activities authorized by this section." Working the system from every angle, animal rescuers typically invite television crews along on raids. Such broadcasts spur the public to adopt the animals (for a fee) or make generous donations. More than $6 million p/year to the Dallas SPCA-which, as revealed by ABC News, helped pay Garcia's $80,000 annual salary. Animal Control/SPCA Confiscates 101 valuable birds in a particularly noxious raid. The owner, a licensed Florida Fish and Wildlife Conservation rehabilitator, was at a Bird Fair when her friend arrived to care for the birds whereupon Animal Control promptly handcuffed and arrested her for animal cruelty! The cruelty was that during the SPCA raid, baby birds suffocated in overturned nest boxes, and the seized birds were made sick from unsuitable food fed by their "rescuers" and their respiratory systems were damaged by bleach spray - ignorant atrocities committed by over-zealous, ignorant authorities. Upon testimony by a Board Certified Avian veterinarian and other expert witnesses, Pinellas County Judge Dorothy Vaccaro dismissed the case but nothing could undo the damage done to the birds and their criminally abused caretaker. Bob Attelson, All Setters Rescue, was at a dog show when Little-Minded Littleton, CO executed the carefully planned rescue raid. They sealed off Attelson’s street with four police cars, two animal control trucks, six uniformed police officers and two animal control officers. Neighbors said it was like a terrorist attack. Actually, it was. Littleton SPCA and law enforcement battered down his door, terrorizing a mother dog, confiscating her nursing litter and three rescued dogs for which he was seeking homes. In addition to animal seizure and resale, plus court-decreed fines, fees, and impoundment costs, there’s another way to make money in animal rescue. Transporting adoptable dogs from shelter to shelter spawned a new industry under the acronym CUR, i.e. Canine Underground Railroad. Nel Liquorman, investigating for this publication, reported CUR’s unsavory connection with ALF (Animal Liberation Front). Following a lead on “250,000 rescue groups” Liquorman discovered an average of 520 rescue groups for each state - 4 times the average number of counties per state! A startling statement on the profitability of rescue. Small, cute, young dogs are highly adoptable and are often transported to shelters with low inventory. According to Best Friends, some shelters publish a list of “to be destroyed animals” because rescuers are charged a “pull fee” which is additional income for the animal shelter. Many breeders face police, SPCA, HSUS, rescue or local humane groups in defense of their house pets or livestock. In 2005 when the "pit bull ban" took effect in Denver, thousands of pit bull look-alikes were confiscated, dragged from the homes of hysterical dog owners and destroyed . In Quartz Hill, CA a woman who depends on her trained service dogs fought LA's “no exemption” policy when against federal law, Animal Control tries to confiscate seizure alert dogs! This extremely well referenced and documented Illegal Animal Seizure Report reveals a nationwide increase in warrantless, illegal raids and offers sound advice on how to deal with profit motivated animal control. No one expects it will happen to them but it does, every day, even in small towns. If they confiscate your animal(s), even a rabbit, you face long-term boarding (impoundment) and veterinary fees which bankrupts many owners. If your animals are taken, your first call should to be to an attorney whom you have preselected. Spurious dog bite statistics can incite a rash of raids against target breeds. When animal control stages a televised rescue, your face and your “helpless dogs” are flashed throughout the day, promoting the 6 P.M news of the confiscation that “saved a dozen animals” from animal cruelty and abuse. The following legal advice is from George J. Eigenhauser Jr., a California attorney licensed since 1979, he practices in the areas of civil litigation. It is the best course of action to prevent arrest or compile evidentiary challenge if you are arrested. The first defense is to know and assert your rights, one of which is to forbid warrantless intrusion by not giving animal control, SPCA, HSUS or any “rescue” group a foot in the door, even if accompanied by a sheriff’s deputy or police officer! This document is your best protection When Animal Control Comes Knocking at your door. If you can't stop Animal Control from seizing your animals, you may have a winnable cause for action if you have good legal representation and a record of court rulings. This Animal Impoundment Legal Defense offers a CD or USB drive packed with information to protect your rights if police authority runs rampant. You will be under emotional stress when challenging an attempt to remove your animals but be prepared and be careful because you could be arrested, ironically, for “obstruction of justice” or interfering with a law officer. OK, you've read it but don't leave without clicking the above links. It can happen to anyone. Arm yourself with knowledge and legal advice that can protect you and your dogs from the purported "rescue" raids that have escalated this year. News broadcasts make us worry about Ebola virus and ISIS terrorists but those are remote threats compared to being raided by "rescue" and/or HSUS.